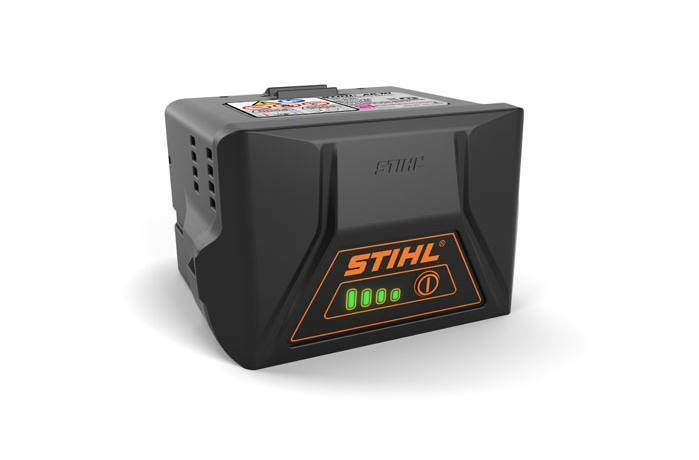 The power of STIHL, now in a battery. With the AK 10 battery, you get an incredible power-to-weight ratio at an affordable price. The AK 10 is part of the STIHL AK Series, weighs only 1.8 lbs. and is great for applications where reduced weight is preferred. Indicator lights show the battery level of charge, so you can plan your productivity accordingly. Inside the battery, sensors monitor the temperature and automatically shut the battery down if it becomes too hot.